Record flooding in Texas along the swollen Brazos River this week prompted mandatory evacuations after at least 6 people died in the worst floods the area has seen in more than 100 years. 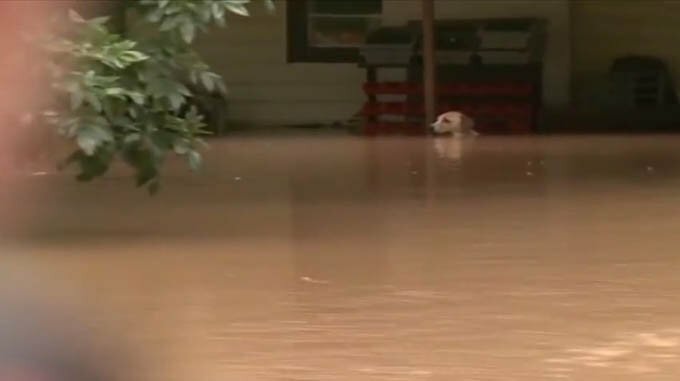 There were also several reported sightings of abandoned animals and pets, including reports of one dog that could barely keep her head above the flood water after being chained to the front porch of her home. 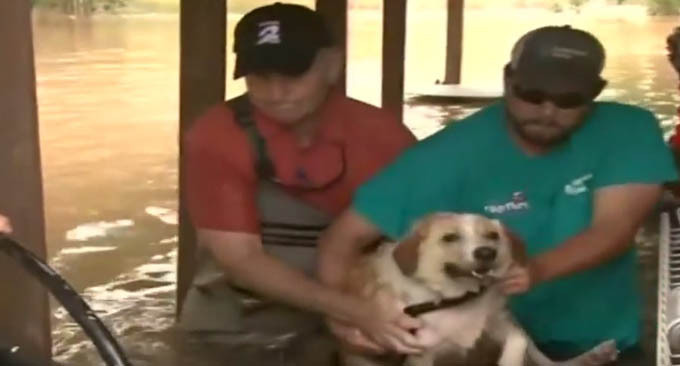 Volunteers Richard Allen and Jeff Shimek jumped into action and freed the female lab mix. She was then turned over to the Houston Humane Society. If you have to evacuate due to flood, please keep your pets with you. Do not leave them behind to protect your home or you are going to lose more than just your belongings.